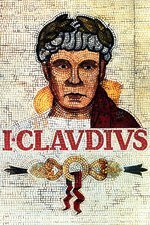 I, Claudius: Zeus, By Jove! Rome, AD 37–38. Tiberius dies (actually smothered to death by Macro with Caligula's connivance), leaving Caligula and Gemellus as his joint heirs. Claudius' life-long friend Herod has returned to Rome in time for Caligula's ascension. Caligula chooses Claudius to be his co-Consul, over Claudius' objections. Caligula displays signs of mental instability and falls into a coma; upon awakening he declares that he has become Zeus. This is the first of two episodes covering the reign of Caligula, and opens with an exhortation from Old!Claudius to believe everything, even if it seems incredible - which is ironic, as this episode strays the furthest from actual recorded history (reliable or otherwise). We have to despatch with old Tiberius first though, which turns out to be more difficult than Caligula thought. Claudius skips through the last five years of Tiberius' reign, and we see Gimli leaning over Tiberius on a bed in Capri and telling Caligula that Tiberius is dead. Caligula goes outside and announces the sad event, along with a story about how Tiberius left him the Empire (which has actually been left to him jointly with Gemellus, his young cousin) when a slave who obviously has a death wish himself runs in to tell them all that he's alive after all, and wants his supper and his ring back. HEY THAT FINAL SCENE IS GOING TO GIVE ME NIGHTMARES. THANKS, BBC. THANK YOU SO MUCH. This is a truly unforgettable hour of television. I remember when I first saw it, in high school. Blew my callow young mind. It also inspired me to actually see Caligula. This is my first public admission to having done so. For those of you who haven't, and are curious: it's not worth it. The movie Caligula will probably ruin whipped cream for you.